In a guest post for the Trust’s blog, Adriana Hawthorne, Publications/Content Manager at The Insolvency Service, shares an update on new materials on bankruptcy mythbusting. I began learning about bankruptcy when I joined the Insolvency Service’s Online Debt Solutions (ODS) team. This team was working to design, create and launch the new online bankruptcy application. One of the team’s main aims was to ensure that the new application was easy for individuals to use. To achieve this, we relied on regular user testing both with members of the public and with debt advisers. Through this user testing, we came to realise how many misconceptions and fears still exist regarding bankruptcy. 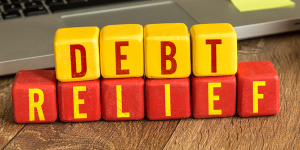 Individuals who took part in the research all self-identified as being in unmanageable debt, and yet many didn’t know anything about bankruptcy and were also nervous about getting debt advice. I heard these fears repeated over and over and realised that in many cases they were keeping individuals from even trying to learn more about bankruptcy. So, over the past few months, I’ve been working with colleagues in the Insolvency Service to create a range of ‘bite-sized’ factual materials that ‘myth-bust’ these and other common misconceptions. To get individuals to see past how scary bankruptcy sounds, I’ve focused on creating materials that are simple and high-level. Each item – be it a poster, video, and so on – uses plain English terms and focuses on just one issue so as not to overwhelm users.  This content is designed to be the start of a longer journey towards obtaining free debt advice. The hope is that by addressing the greatest and most common concerns we can encourage individuals to look at bankruptcy and at all of their options with a more open mind. For this reason, the content also encourages individuals to seek free debt advice and learn more about all their options before making a decision. I user tested our first batch of content last month and was very pleased with the feedback. Those I tested with engaged with the content despite it being about bankruptcy, and many then asked questions about where they could learn more and who they could talk to for advice. I’ve since been working with colleagues to finalise our first batch of materials which will be launched imminently. More content will then be launched each month until March 2017. All materials will be readily available on both GOV.UK and the Insolvency Service’s Twitter channel (@InsolvencyGovUK), so watch that space for more information. In the meantime, I’m always happy to answer any questions you might have about this work. Please feel free to contact me at adriana.hawthorne@insolvency.gsi.gov.uk.